Individual Enterprise “Nurly Tolkun” was founded in February 2010, in Turkmenistan as ship managing, crewing and marine vessels chartering and operation services provider in Turkmenistan sector of the Caspian Sea. Over the years, the company has significantly expanded both in terms of size but also in its services offering. In 2014 enterprise has established proper equipped underwater (diving) technical works center and services station for LSA (live-saving appliances) and FFE (fire-fighting equipment) operating by technicians educated by worldwide known LSA & FFE equipment manufacturers. In 2015, new service station for Towing, Rigging and Lifting equipment servicing, and electromagnetic scanning of the wire ropes was opened. Our financial strength, strong reputation and innovation enable us to expand in step with our customers worldwide, responding to their needs and the changing demands of local, regional and global markets. Customers are central to everything we do. It is their ever-increasing demand for competitive solutions that drives us to refine and integrate our services to meet their needs. Marine operation centers and technical workshops around our modern and expanding fleet of owned and chartered offshore support vessels that provide vital support for offshore exploration, construction and production, heavy lift cargo towage, etc. Nurly Tolkun operates in Caspian Sea providing best experience in Oil and Gas industry for biggest players in the market such as Dragon Oil LTD and Petronas Carigali. Crewing, Operations and Technical Management (Ship Management) as one of the pioneering local ship management companies, Nurly Tolkun has grown to become a renowned and trusted name in the commercial ship management industry of Turkmenistan. 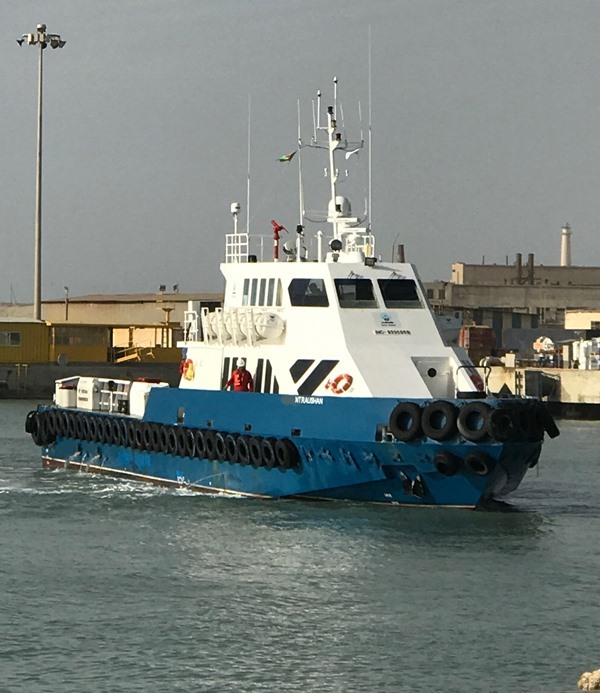 Originating from a small team operating out of a small office in the port of Turkmenbashy, to date the company has emerged as a fully fledged crew and ship management company. Our workforce includes approximately 50 shore-based staff and 600 crew onboard vessels at any given time drawn from a wide network of local and international specialists. Our human resources and industry experience underpins the company’s success, business sustainability, and client-focussed delivery. This steady progress with an ability to adapt to fast-changing and challenging market conditions is testament to company service values and business philosophy. Shipping (agency) and Logistics was Nurly Tolkun’s first business unit, dating back to when our first office opened in Ashgabat in 2010, to provide shipping agency and logistics services. Today, Nurly Tolkun Shipping and Logistics is a major local provider of services to the oil & gas operators and ship owners. Logistics operation originated from our procurement and custom clearance operations. Our services have grown into a strong operation providing a rich array of general and customer-tailored logistics services that can satisfy the highest demands of our clients. LSA and FFE services division provides integrated solutions that ensure highest-level safety of our clients’ operations in any types of environment. With partnership and approval of leaders in safety equipment industry, we make sure that our services provided on highest standards using sophisticated tools. The services build on our safety-first standards that we commit to in all areas of our operations. Lifting and Towing Equipment Service Station is designed to test and certify a broad array of modern lifting and towing equipment utilized in our customers’ operations. The service station is equipped with the latest advanced machines and tools operated by certified engineers. Diving services are utilizing the latest technologies. One of our current projects in this area includes reconnecting a hose to an offshore oil facility for an oil company in Turkmenistan. Nurly Tolkun takes full advantage of the diversity of our portfolio of services, our countrywide infrastructure, resources and expertise to deliver integrated solutions that result in time and cost efficiency. Our business units operate with a high degree of autonomy, giving them the flexibility to act in accordance with specific customer needs whilst ensuring the standards of the company. marine companies. GAC Marine brings a wealth of global experience into our operations. This partnership, with a combination of international and local expertise, owned assets, global coverage and access to both international and local finance makes Nurly Tolkun – GAC Marine an unrivalled partnership offering marine services in Turkmenistan. Nurly Tolkun is always on the lookout for the best people to join our team of professionals. Nurly Tolkun is always on the lookout for the best people to join our team of professionals. We offer a work environment that values experience, innovation and mutual respect between staff and management. Around the world, you will find Nurly Tolkun people ready, willing and able to help deliver your strategy, striving for excellence in everything they do, and driven by a desire to meet all their customers’ every service need. That combination of the personal touch with fierce professional pride is our corporate signature.